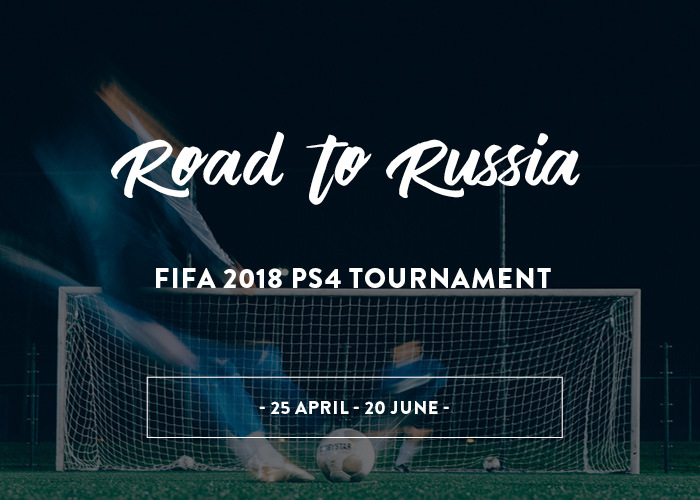 Play your way to the World Cup on the Road to Russia at the Watergardens Hotel. With only the biggest soccer event of the year taking place this Winter, we’re getting into the spirit nice and early. From Wednesday 25th April until 13th of June, we’ll be hosting a FIFA 2018 PS4 Competition in our Sports Bar! Followed by a playoff tournament on the 20th of June so let the best players win! 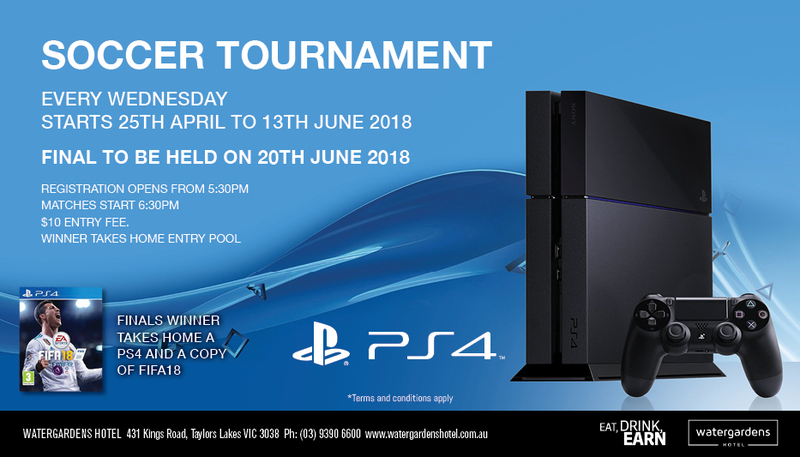 Tournament starts at 6:30PM every Wednesday (from the 25th of April 2018). Maximum player limit of 16 per session. Winner gets an invite to the finals. Cost is $10 which goes towards the winner’s prize pool. We’ll also be showing all games live, on the big screen and in the lounge bar during relevant trading hours.